Witness Dubai at night. See her ablaze with lights, illuminated against the night sky as you ride around central Dubai. Dubai is one of the top destinations for international travelers, This city has tallest building of the world, The Burj Khalifa and world’s largest shopping center, The Dubai Mall, World only one Seven Star Hotel, Burj Al Arab, Man made island Plam Jumeirah. words can't express about city beauty & attractions unless you dont see it. 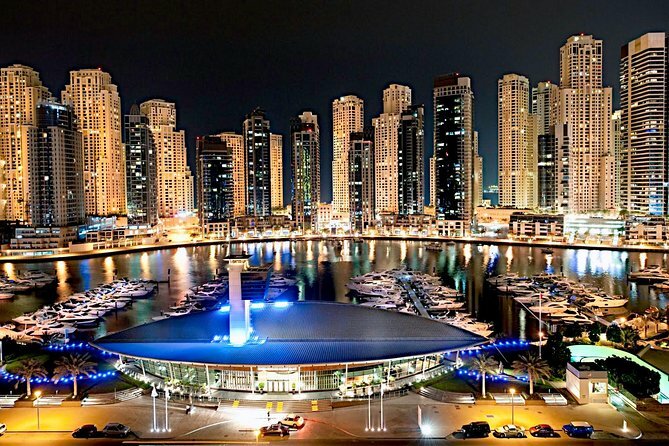 The tour is ideal for both tourists who are in Dubai for Business visit and are not avail for morning and want do city sightseeing in afternoon or evening as well as travelers who have flight stop at Dubai Airport and want spare time to see the Beautiful Dubai intead long time waiting at Airport for next flight. So what you are waiting for, come and experience our warm hospitality, Explore the wonders of Dubai with Local expert tour guide and turn your Break into Memorable Tour.